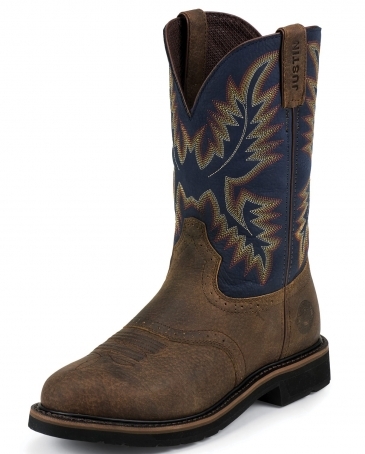 This great work boot is sure to keep your feet protected and supported all day long. This Justin® stampede boot features a copper kettle rowdy color with perfed saddle vamp and a steel J-96 toe (see toe guide above),. The insole is Jfl ex Flexible Comfort System® and the outsole is utility. All steel toe exceeds ASTM F2413-05, 175, C75 standards.